Here, you can keep up-to-date with the work that we are doing, the new features that are being worked on and released, and improvements we are making based on your feedback (keep it coming). This is a feature that has been in high demand - and we are very excited to be bringing it to you very soon. % discounts will be released across all Collect Apps, so you can create and customize your loyalty rewards, offer promotions and automated offers to suit your store. This is a great way to reward your customers or run a promotion while encouraging further spending. 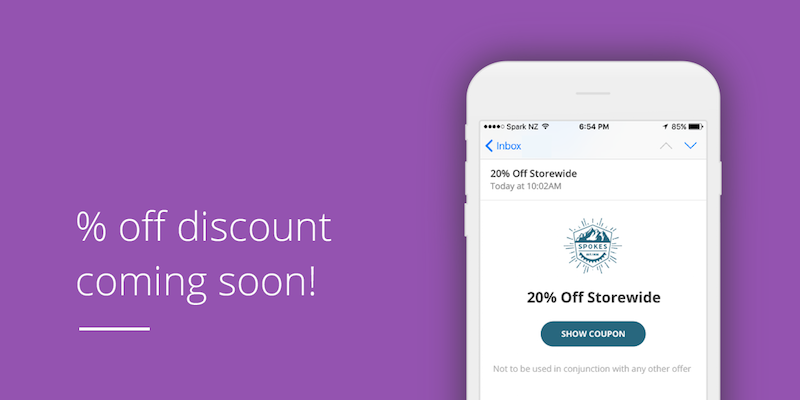 Look out over the next month for % discount - hang tight! Analytics & reporting feature: See what's working across your Collect tools and what can be improved, measure ROI and more. Collect Feedback product - Ask for customer feedback after every purchase on your loyalty program emails. Collect Mail product - Send beautiful and effective email marketing campaigns that are easy to create using templates designed for retail and hospitality. Want to be a beta tester of new features and/or products?